EXCLUSIVE AT NET-A-PORTER.COM. Haney's Resort '19 collection is brimming with pieces perfect for an event - the designer's daughter even chose one of them to wear at her senior prom. 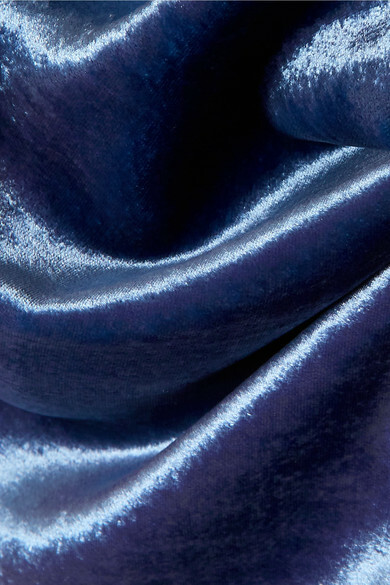 This 'Hanne' dress is cut on the bias from blue crushed-velvet lined in satin so it skims smoothly over your figure. The cowl neckline and slim straps that frame the open back call for an adhesive bra. Shown here with: Hillier Bartley Clutch, Gianvito Rossi Sandals, Sophie Buhai Earrings.